Pride’s star-studded cast and strong underdog theme should make the film a global hit. 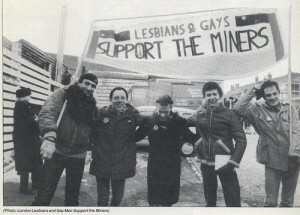 The unlikely coming together of London’s gay community with a group of Welsh miners promises to evoke all the emotions. For Brixtonites though, there’s added local interest. 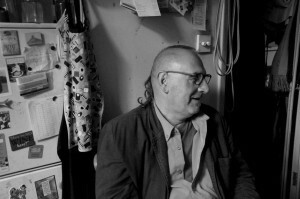 Jonathan, one of the film’s key characters, is a long-standing Brixton resident. And he is being played by The Wire star, Dominic West. So I’m in (the real) Jonathan’s kitchenette and we’re watching the film trailer together. 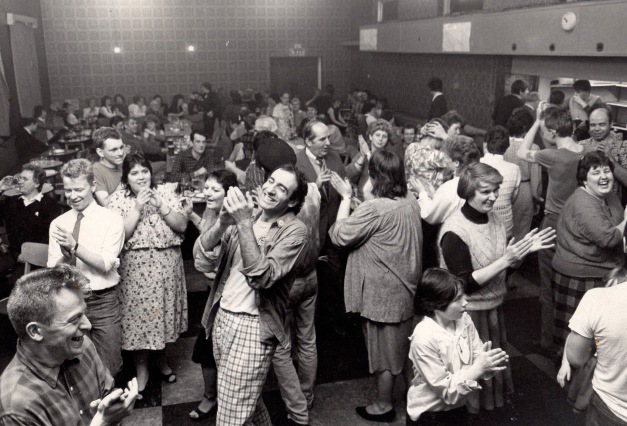 It cuts to a scene on the dance floor of a community hall, somewhere in Wales’ Dulais Valley. Just one man is dancing amongst the local ladies. “This is a first, this,” says one of these ladies, to Jonathan, who’s dancing by her side. “Welsh men don’t dance.” Her voice is raised to stand out above the music. Spurred on by this, West’s character jumps into life, throwing himself around the dancefloor to the tune of Shame Shame Shame – his arms and legs are tentacles reaching for the attention of onlookers. He shows me a black and white image. 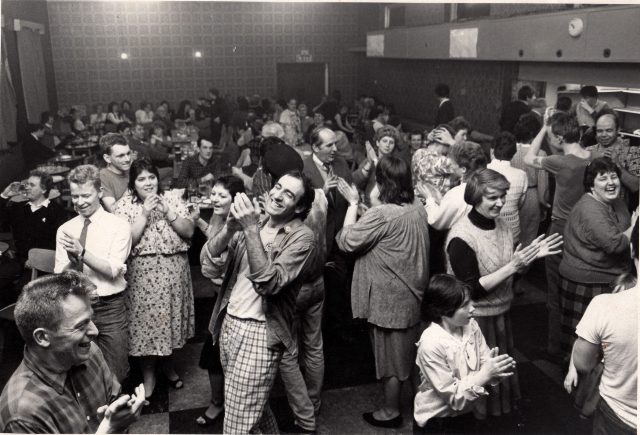 It’s the Lesbians and Gay Men Support the Miners group (LGSM), in that same community centre in the Dulais Valley. Jonathan stands prominently in the foreground, wearing some distinctive chequered trousers, and evidently cutting some sort of groove. In 1985, Jonathan did a trouser-making course at the Strand Centre on Tulse Hill. 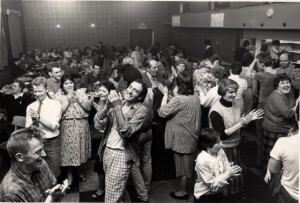 It was the time of the GLC, when people could do any number of courses for a pound. ”Livingstone was the bees knees,” Jonathan ruminates. After the course, he went on to study at the London College of Fashion – passing with the highest marks. “What did I do then… well, I didn’t really fancy Saville Row,” he laughs. “I wanted to find a better fit’. And then his break came. 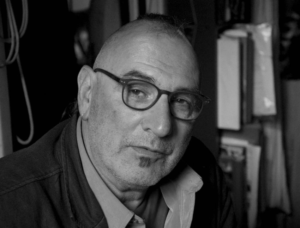 Sat with his portfolio in hand, waiting for an interview in the offices of the English National Opera, Jonathan noticed something on the wall: it was a heartfelt memorial to a staff member who had recently passed away because of HIV. “That sort of openness was rare back then. And I knew straight away it was a place I wanted to work,” says Jonathan. It was here that he became a ‘cutter’ on numerous shows, and in the film you’ll catch glimpses of Jonathan’s style: the bandanas, the beret (and of course, those chequered trousers). So, with his health deteriorating further, he eventually had the fortune to meet an amazing doctor, Chris Taylor, at King’s College. Taylor told him he had to do something or he wouldn’t survive long, and they worked at finding the right mix of treatment. 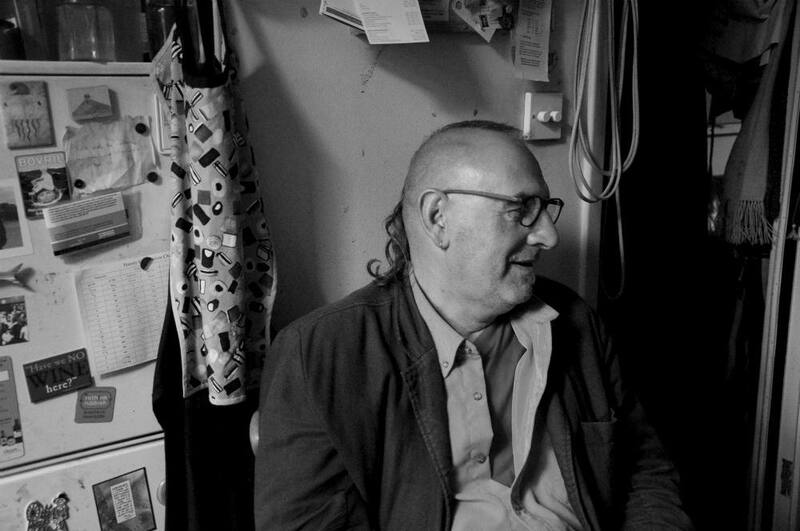 Today, Jonathan shares a home with his partner, Nigel. The two of them have lived in Brixton, as part of a housing co-op, pretty much since they met back in the eighties. Jonathan’s health is under control. But when Jonathan first found out that he had contracted the virus, he admitted that he was not all that concerned about living. Jonathan’s fortune changed in 1984. He was invited along to a stand against nuclear weapons, down at Aldermarston. 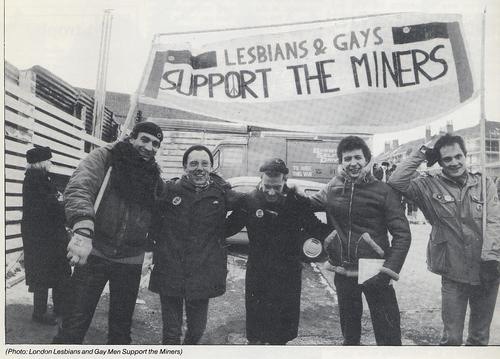 It was around then that some of London’s gay community wanted to support the miners. And that’s the period the film focuses on. The rest, we shall leave to the film. The question is then, does Dominic West do Jonathan justice? What’s interesting is the impact that the events of that period have had. “Dai Donovan, one of the fundraisers, was hugely influential in getting gay rights onto the labour parties’ political agenda. Now look… we even have civil partnerships,” Jonathan concludes. Pride is released at the Ritzy on 12th September.